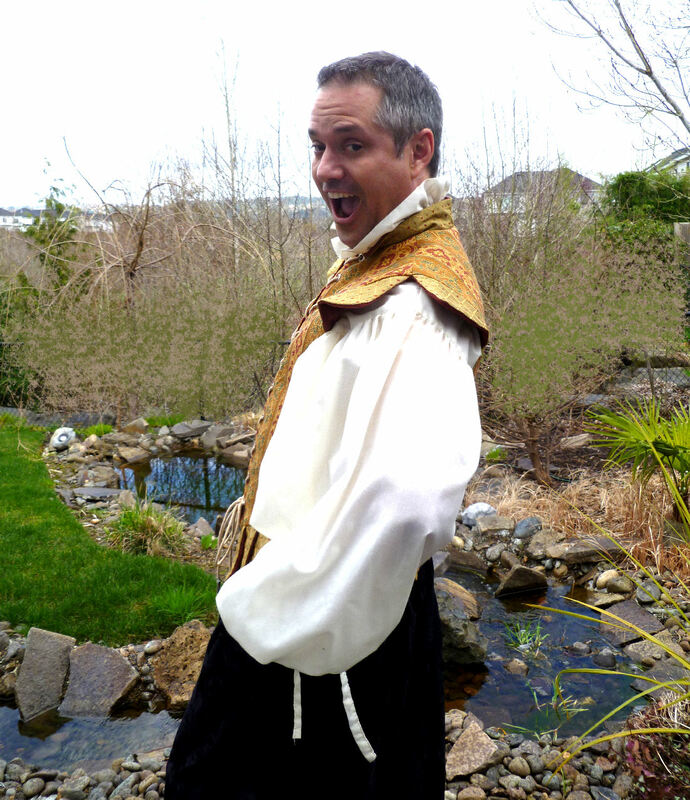 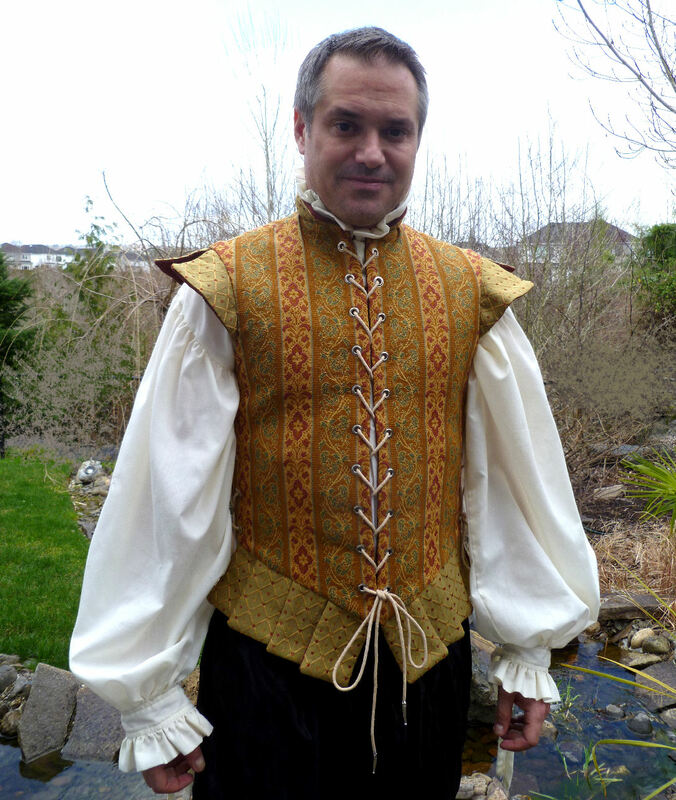 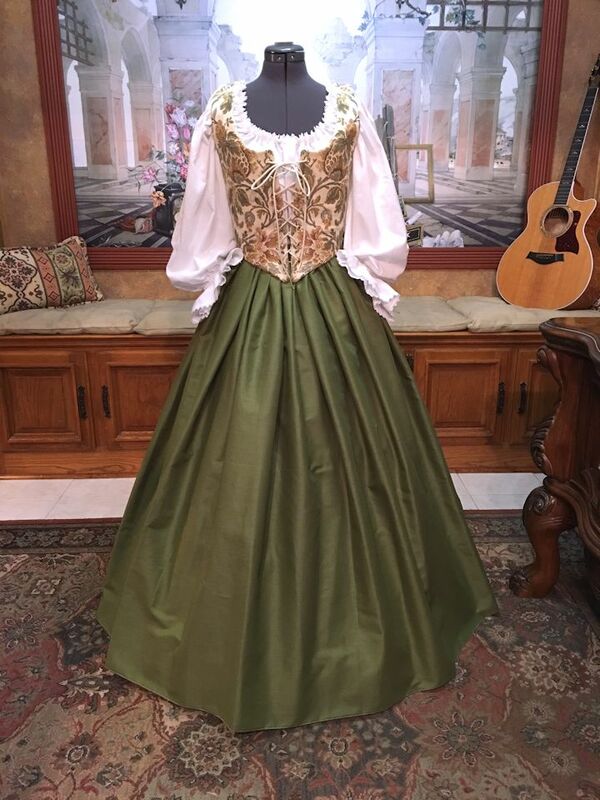 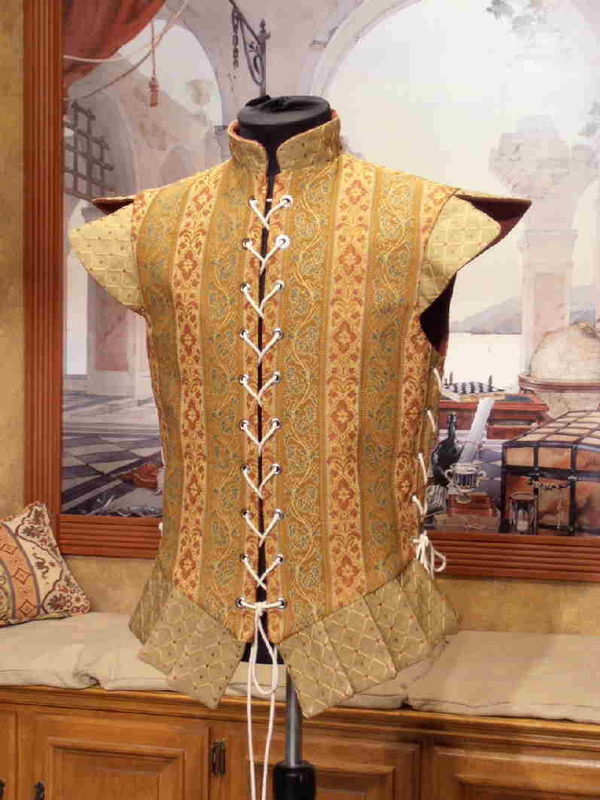 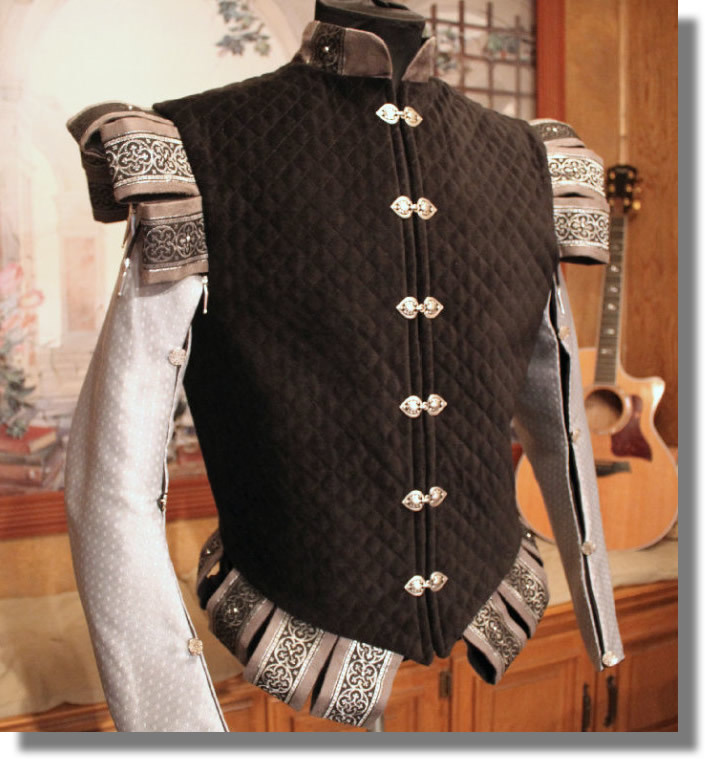 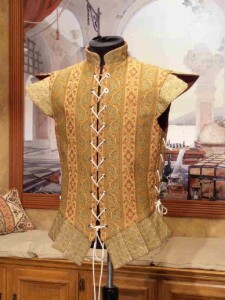 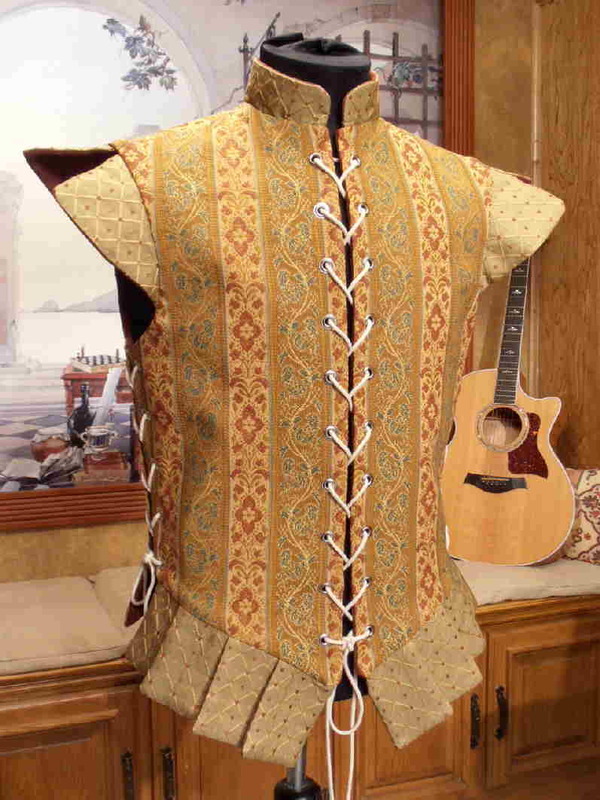 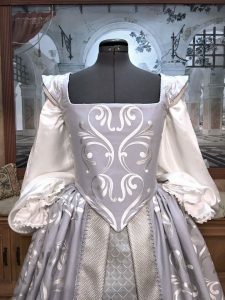 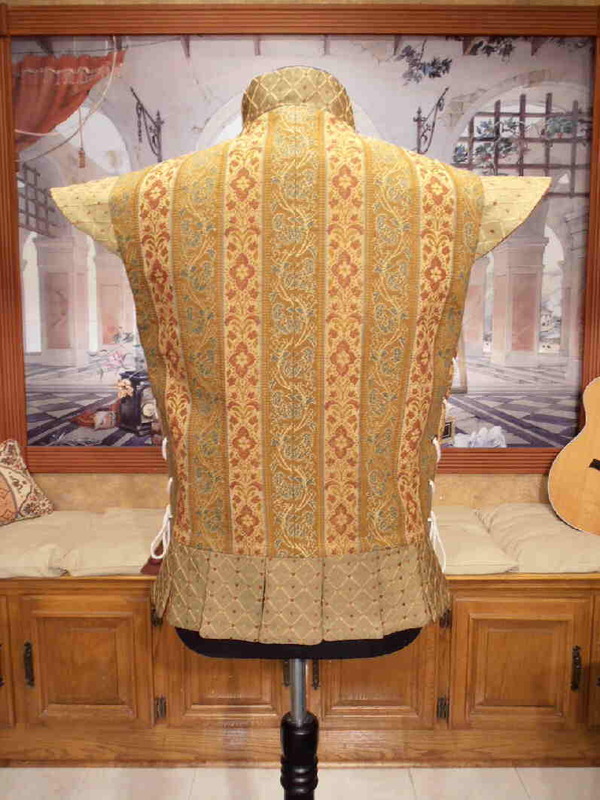 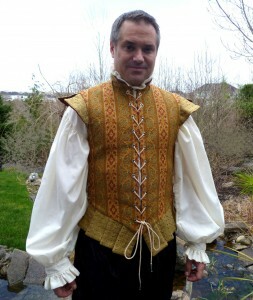 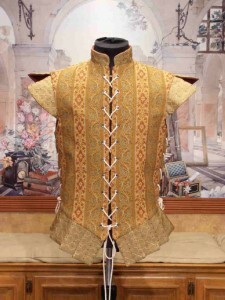 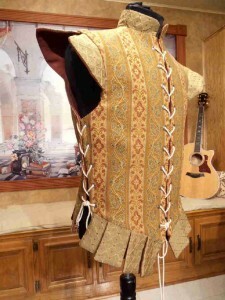 Spectacular, high quality Renaissance Doublet is available in men’s chest sizes 30-52. 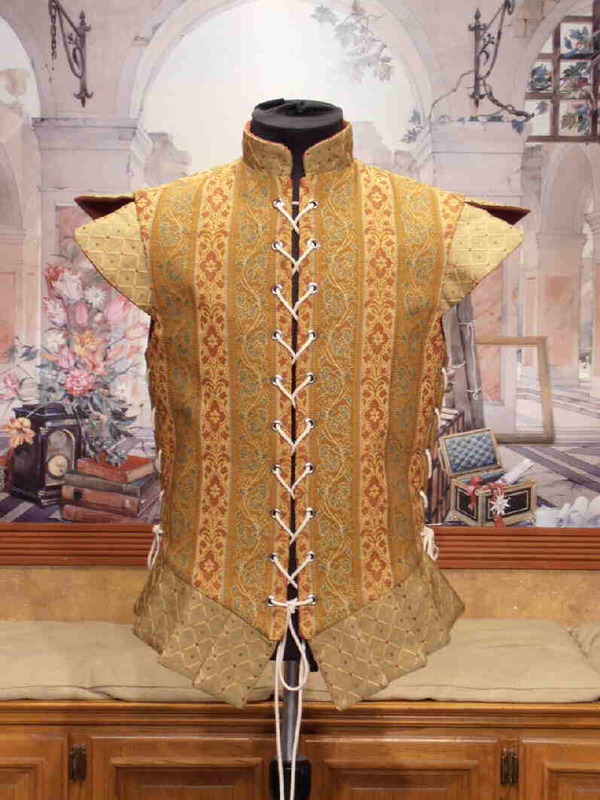 This gorgeous lined doublet is made with two contrasting and coordinated jacquard fabrics in colors of gold, sage and burgundy. Heavy, natural cording laces through forty machine pressed grommets. 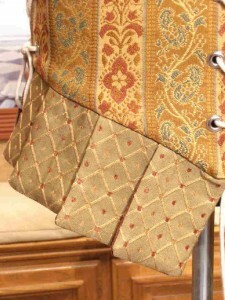 The cording ends are crimped with aiglets for ease of threading and a nice finished look. 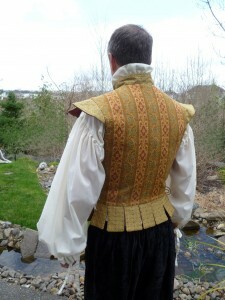 The shoulders have been embellished with ‘split caps’ and the waist has a striking tabbed peplum…so dashing! 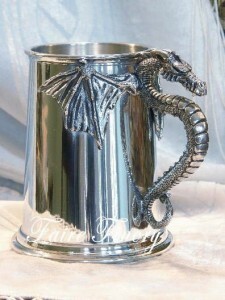 The side lacing feature allows for some adjusting, which can be helpful after a long day of ale and turkey legs. 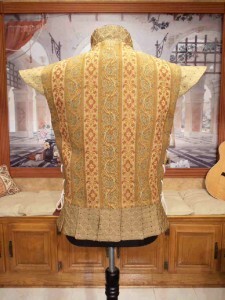 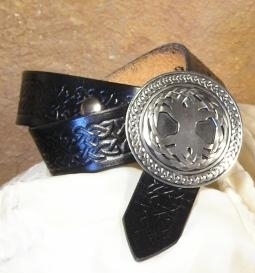 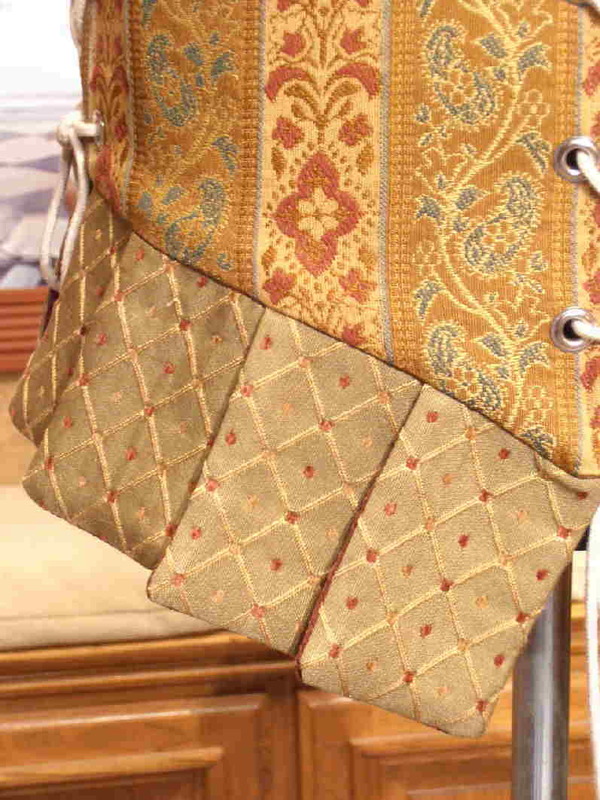 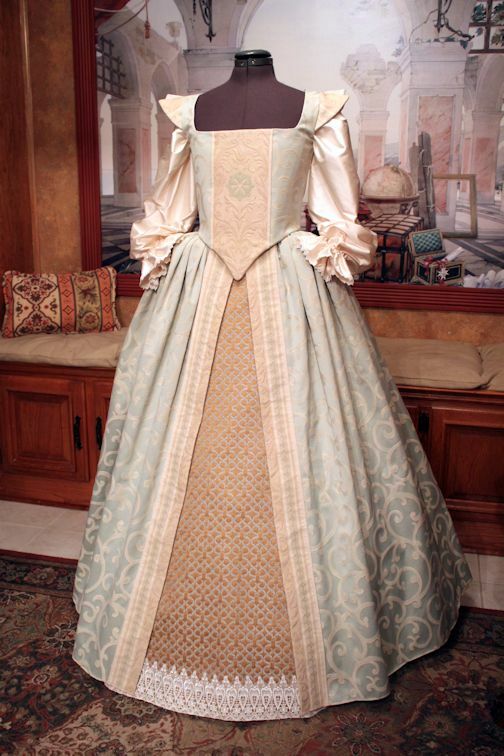 It can also be made with sewn side seams upon request.